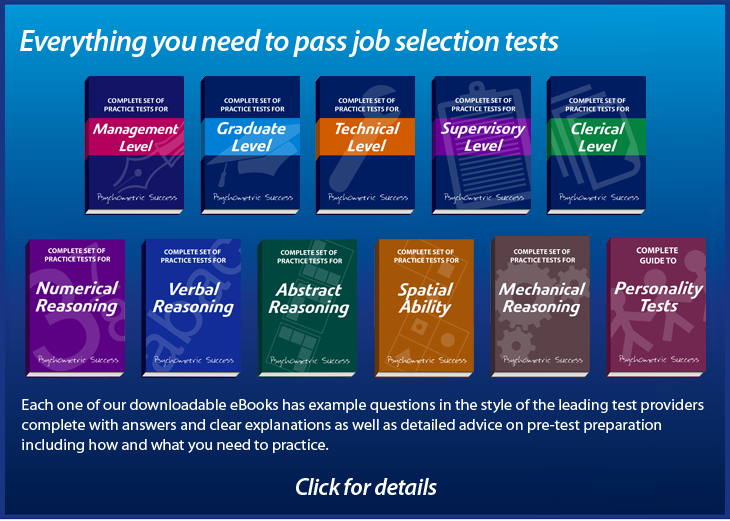 There is growing evidence indicating that the use of psychometric tests for selection purposes has increased in recent years. All types of organizations are using tests and are using more of them. The results of a survey conducted in 2012 across a wide range of organizations are shown below. Increased test use can be seen as a defensive strategy, adopted in response to regulation and legislation. The single most frequently given reason for increases in testing was the need to have a selection process which would withstand legal challenges. Tests offer two advantages in this situation. They can be seen to be objective measures of how a candidate’s skills align with the ‘competency profile’ for the job in question. These competency profiles are themselves seen as promoting access and equality of opportunity as well as reflecting the organizations skill requirements. Most if not all of the widely used tests have been proven not have adverse impact on minority groups, and are therefore fully compatible with equal opportunity policies. It is important to understand that the tests themselves have not changed very much over the past few years. In fact, some widely used personality tests have been in use for over 30 years. However, the political and cultural environment in which organizations operate has changed significantly. The difficulty of dismissing staff means that decisions to hire are seen as increasingly high risk, and the placing of low-paid staff in customer facing jobs, or with health and safety responsibilities, is treated with increasing seriousness. In addition, some organizations have expressed concerns that using qualifications as a criterion for selection may create barriers to access and be viewed as contravening equal opportunity policies. Changes in the economy have raised the cost of training and developing staff. It is a fact that organizations with larger training expenditures use psychometric testing more than those with smaller training expenditure. This may be because the cost of staff development increases the value of all relevant selection information, and in particular justifies the additional cost of testing. Increased test use is a response to the decreasing cost of testing relative to other methods of selection. In the past few years the cost of ‘buying in’ to psychometric testing has fallen. This is due to more providers entering the market and to the increased use of technology, particularly the internet, in administering tests and assessing the results. Computer-based tests provide more or less instantaneous scoring and feedback which reduces the need to have sufficient trained assessors available for results to be fed back into the selection process quickly enough to be useful. The increase in employment related litigation has encouraged many organizations to recruit more highly qualified human resources personnel. Who, for reasons of professional conviction and departmental self-interest, tend to promote more formalized methods of selection. In addition, HR professionals are familiar with psychometric tests and tend to believe in their value which further encourages the use of testing. Psychometric testing also offers some ‘scientific’ credibility and objectivity to the recruitment process which otherwise can be seen as highly subjective. Tests also give the interviewer an indication of areas to discuss in detail at the interview. This can make for more interesting and productive discussions within interviews concentrating on areas which have been identified. There is strong evidence for of a loss of confidence in school-based formal qualifications and/or the standard of degrees. This is particularly true among senior managers in organizations and has been widely reported in the press over the past ten years or so. Many managers now accept tests as providing up-to-date information on skills such as quantitative reasoning which complement qualification-based evidence. Aptitude tests are also seen as providing data on a variety of skills which are not suited to formal certification. Psychometric tests are used so extensively by large organizations because they are a quick and relatively cheap way of eliminating large numbers of unsuitable candidates in very early in the recruitment process. Screening out these candidates as soon as possible, means that the organization can then concentrate more time and effort on the remainder. From the perspective of human resources, psychometric testing can reduce the workload considerably as it can replace initial screening interviews which were traditionally used to shortlist candidates for a more rigorous second interview. All of the above factors are likely to encourage further growth in psychometric testing in the immediate future. No further changes in the external environment are needed for this to happen: simply the continuing influence of HR departments in a highly regulated labor market coupled with an increasing number of managers who are comfortable with tests. One point of interest is that there remains a significant difference in test usage between large and small organizations. This was shown clearly by the results of the Workplace Employee Relations Study (2008) but it is likely that the decreasing costs associated with administering psychometric tests will see this difference eroded. All of the surveys of psychometric testing produced over the past 5 years are consistent in indicating that use has been growing steadily and that test use for recruitment is now very common and supports a substantial commercial sector of test creation and processing. This has led directly to more and more specific tests being produced for use within particular organizations or for particular jobs. As more of these tests gain recognition and acceptance it is inevitable that psychometric testing will continue to increase.